Things you might say to start an article: I play a great many games, I’m a big fan of humorous social games, I love an excuse to use a silly article format. 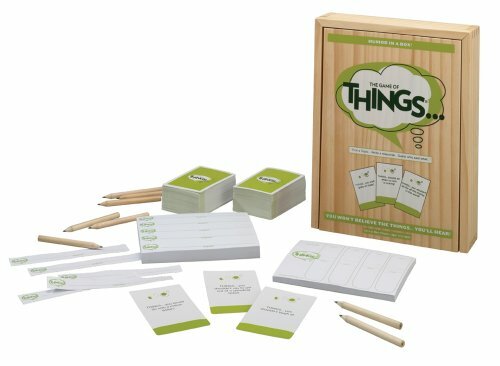 Things you might say to introduce a board game: The Game of Things is a social game in which players make up funny answers, The Game of Things is a game in which players attempt to guess who supplied the answers to various prompts, The Game of Things is an endlessly silly game that forces you to think like your fellow players if you plan to win. 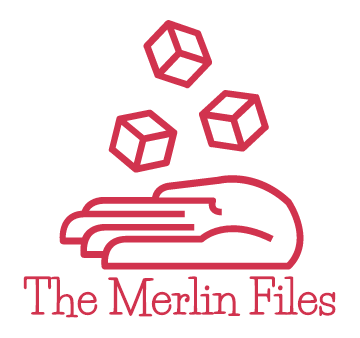 Things you might say to elaborate on an introduction: Each round one player becomes the Reader, a Reader picks a card with a “things” prompt and reads it to the others, each player submits an answer to the prompt but the Reader neither makes guesses nor can be guessed. Things you would clarify: The Reader introduces ambiguity into the guessing process, you can accuse others of providing your own answer to throw them off your trail, a point is scored for each correct guess and another 2 points are awarded to the last player standing in each round (players being eliminated when their answer is guessed). Things you would criticize: I still don’t really care for scoring in social games, I’ve found that some of the prompts just seem inherently less humorous or open-ended than others, as with many games of this type The Game of Things strongly relies on those with whom one plays to provide the silliness and maintain the level of humor with improbable answers, it can be tough to come up with answers to some prompts and the creativity tax is therefore in effect. Things you would say about The Game of Things: It’s often exceedingly funny, I question the need to keep score, I would definitely choose to play it again.